NEW! Online Payment for KOH Race Week Entry Fees now available! 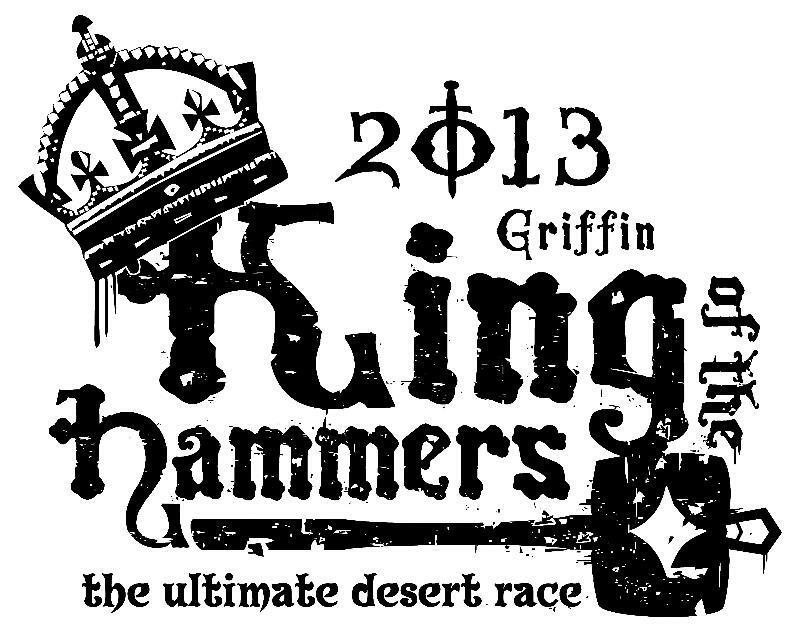 All registration forms for the 2013 KOH week are now available. In an effort to get entry forms and registration packets back in a timely manner, we are no longer issuing a $100 late fee and will instead be increasing the costs of the entry fees incrementally as we get closer to February.Drivers have from now until November 15th to take advantage of the early pay discount. On November 16th all entry fees will increase. Please Note: We will not be doing online registration for the 4 Wheel Parts Last Chance Qualifier as there are only 8 spots left as of 10/26. We will continue to take those entries on a first come serve basis via snail mail until we are full. New! 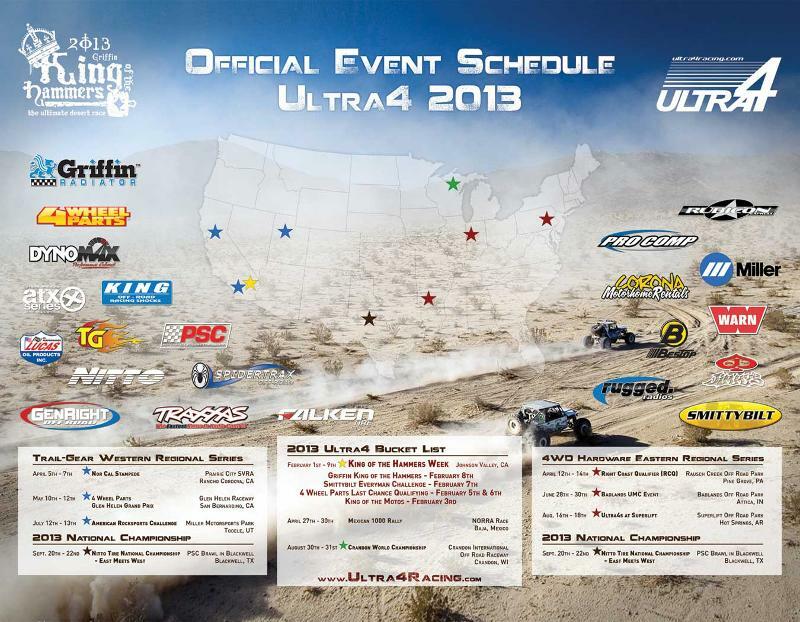 2013 Ultra4 Schedule Announced! New! 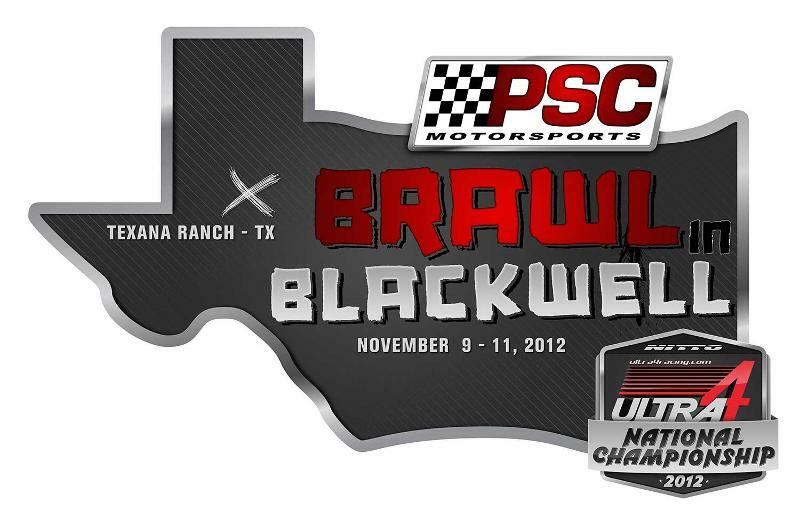 All drivers who pre-registered for Texas Need to complete their Registration packets they were due November 19th. New! IRC Tracking form required for all drivers Rental form available here. The event is open to ALL drivers. There are 10 guaranteed KOH spots available for drivers that finish the race and an additional 5 spots available to teams who have raced 2 regional races prior to Blackwell who have not already qualified. That’s 15 spots on the line. The top 10 drivers will be the first 10 drivers to finish the race who have not already qualified for KOH. Click here to learn about the $20,000 in prize money, championship rings and qualifying spots. The new rule book contains updates on chassis tubing and weight, as well as changes to the Every Man Challenge Stock and Mod classes. Section 6 contains many of the rule changes. Have some questions on the rules? There is an open discussion of the rule changes taking place on Pirate. If you would like to participate in the discussion you can do so byclicking here. 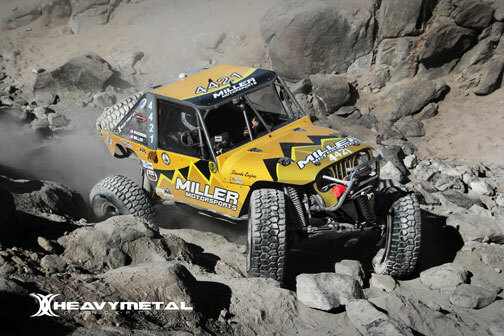 Through a recently developed series of events, 2012’s “King” of the Hammers and 2nd place overall Pro Series Champion, Erik Miller, will find himself behind the wheel piloting the newly completed Trent Fabrication “Top Shelf” car, built for and owned by Jim Widmaier. Widmaier will take over the co-driver role in not only the car’s first race outing, but Jim’s as well. If you are an Ultra4 driver who competed in 2012 and you did not receive an email from Shannon Welch to cast your vote for this year’s Sportsman of the Year, please email her at [email protected] for the complete list of eligible drivers. 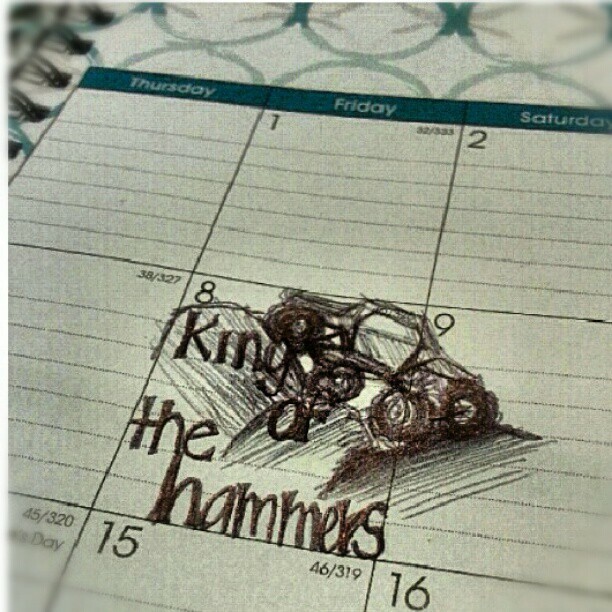 Believe it or not, there are only 97 days until Hammertown opens in 2013! Our Grand Finale of 2012 is just a few short weeks away. Driver count for the Nitto Tire National Championship is full with 50 drivers heading to Blackwell for what will be the most exciting new race of the season. As always, live chat and tracking will be available at www.ultra4racing.com/live. Who will be crowned the first Nitto Tire National Champion? You’ll have to tune in to find out! Shannon, Dave and Chris are heading to SEMA next week to discuss 2013 King of The Hammers week and the 2013 Ultra4 Racing Schedule with industry leaders. We look forward to seeing many Ultra4 teams hitting up the show as well. We’re happy to report that we have been able to bring back online payment of entry fees, and we are working on re-vamping the entire registration process. Stay tuned for updates regarding this in the weeks to come. We should also have updates regarding Tent Pricing and Hammertown Garage locations. Look for these updates after Texas. We can’t wait to see you all in Vegas, Texas and on the lake bed!